It’s January. Are you now counting the cost of spending too much at Christmas? 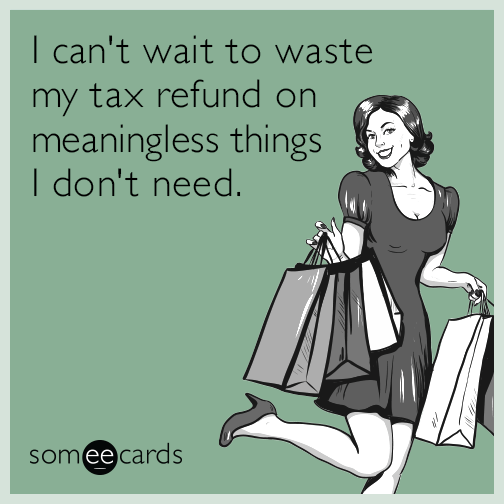 Or do you have a New Year’s resolution to spend less, so that you can save more or pay down your debts? Or perhaps you just want to buy less stuff to clutter up your house? Whatever your reasons for wanting to spend less you are not alone! According to a recent survey, saving money is one of the top 3 New Year’s resolutions for 2018, and to save more we have to spend less! I think that spending less is a lot like dieting. It’s hard to do because there is so much temptation all around. It may make a difference for a short while, but once the diet, or spending freeze, is done then we’re back to our old habits, sometimes worse than before! Sometimes we buy things because we’re bored or are feeling unhappy and think that something new may perk us up. Although we may get an initial jolt of happiness when we buy, it can often be followed by regret and guilt. A good way to prevent this cycle is avoidance: just don’t go to stores when you feel like this. There are many ways to combat boredom or unhappiness; like getting out in nature, exercising, calling a friend, losing yourself in a good book…just try a few things to find out what works for you. It’s not always possible to totally avoid stores and places to shop. So when you do shop, leaving your credit cards at home and only paying in cash can help you to spend less. According to research, it seems that buying with cash means that we enjoy our purchases more, and most of us find that paying in cash is “more painful”. While doing research for another post on grocery shopping, I spent a month only paying for groceries with cash and I found that it did change my purchasing behavior. I was more likely to stick to my list and not make any impulse purchases, and I would double-check prices to make sure I was getting the best deal. So, if you struggle with impulse buying, then taking only cash could really help you curb your spending. You’re browsing around a department store and you see the most fantastic watch. Your watch broke a few days ago, and this one is perfect…but it’s $500. What should you do? One technique you can use is to calculate how long you need to work to earn that amount of money. So, if you are earning (for example) $125 a day (after taxes, etc. ), then it will take you 4 days to earn enough to buy the watch. Calculating how long it would take you to earn the money can help you to put an expense into context and evaluate the “real” cost to you. Do I really need it, or is this just a want? Can I borrow or rent what I need instead of buying it? Can I purchase this second-hand? Can I make what I need instead of buying it? I use this one a lot. If I’m not sure about a purchase I will give myself a break for at least 15 – 20 minutes, sometimes overnight for an online purchase before committing to buying. Often I find that even a short cool-off period has reduced my “I’ve got to have it” craving, so I don’t buy it after all. But what happens if the cool-off period doesn’t work, or you don’t have time to take a break before buying it? If you’re not sure about whether you want to keep it or not, then you can do a post-purchase cool-off period. Make sure you keep the packaging and receipt, then return it if you change your mind. You could also leave the purchase in the bag/box somewhere that forces you look at it each day, and have more time to consider whether it is something you want to keep. Unsubscribe, or at least reduce, the amount of marketing emails you get. Not only will this reduce your temptation to shop, it will unclutter your inbox. Remove any apps or bookmarks to your favorite shopping sites. You could still go there, but this just makes it that little bit harder. Clear your cookies. This will wipe out all of your stored information, so you’ll need to rekey your information each time you want to make a purchase. Is your purchase really worth this hassle? If not, then you’ve just saved yourself some money! Change your passwords on your shopping sites. Make your password something that makes you think if you do want to spend this money. Perhaps typing in “DoIreallyneedmorestuff” or “ThisismoneyIcouldusetovisitParis” as your new password may make you stop and think before confirming your order. Every time you successfully avoid spending money, put a percentage of that money aside either physically in a jar or piggy bank, or in a savings account. When you do spend this money, enjoy spending it on something fun or more meaningful. If you need some suggestions, then here’s some ways that spending money can make you happier! What other suggestions do you have to help reduce spending? Share below.